After the match, Yung and Allie continued assaulting Hogan until Yung’s undead bridesmaids brought out a coffin. Rosemary appeared out of the coffin! Rosemary took out the bridesmaids and tossed Yung in to the group of them. Rosemary met Allie in the center of the ring and Rosemary tried to touch Allie, seemingly trying to help her, but Allie screamed and escaped the ring. Rosemary posed in the ring. After the match, Konnan came out and says that he was wrong and they were able to separate the personal from the professional for an exceptional match. Impact Knockouts Champion (Gail Kim as Special Guest Referee): (C) Tessa Blanchard vs. Taya Valkyrie – Blanchard & Kim got into it which led to Blanchard choking Kim and then Kim hitting Blanchard with Eat Defeat. Valkyrie hit the Road to Valhalla on Blanchard for the 1-2-3! Road To Valhalla by @TheTayaValkyrie. 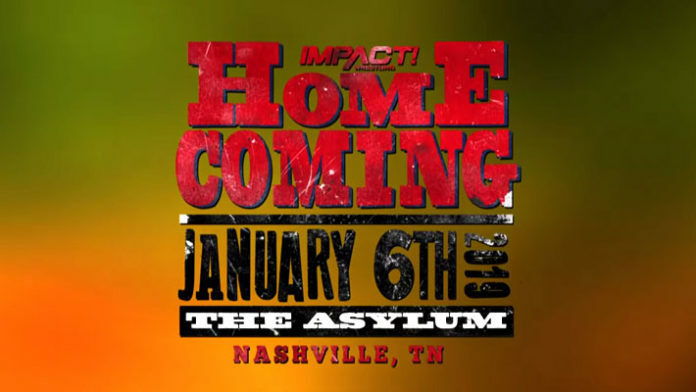 Impact World Championship: (C) Johnny Impact vs. Brian Cage – Cage had a confrontation with Impact’s friends, the Survivor contestants. Impact is laid out and Cage wants the ref to count the 3 after the Drill Claw, but he’s still distracted by the Survivor guys. He comes in and counts only 2. Cage attempts a superplex with Impact on the apron but Impact is able to reverse and turn it in to a pining predicament for a questionable 3 count. After the match, Cage dropped the title in front of Impact and stormed out in frustration. Taya Valkyrie came out and Impact and Valkyrie celebrate in the ring. Killer Kross appeared on the ramp and attacked Impact. Valkyrie tried to fight Kross off but Kross grabbed her and powerbombed her in to a group of men in the crowd as the show ended.